Technological advances in orthodontics mean that the preferred treatment by our patients has changed. Today, thanks to the recent developments in Invisalign materials, many of our patients are opting to change to clear aligners, and it’s a course of treatment that is actually proving to now deliver results much faster than the use of braces. Historically, Invisalign may have cost around $9,000, but these days, if you’ve been quoted in this ballpark then you’re not seeing the right person – or you’re paying too much. Here at Brace5 we charge the same fee for braces as we do Invisalign, because that’s how we believe it should be. Plus, we see all those people who have been told that Invisalign won’t work for them – because we believe it can! So if you want to find out how Invisalign can save you money, but deliver quick yet stable results, then come and chat with Dr Mamutil, who’s seen more Invisalign patients than anyone else in this corner of Sydney. 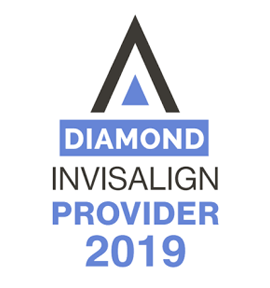 Dr Mamutil is an Invisalign Diamond Provider and the recipient of the 2018 Lifetime Achievement Award at the Invisalign Summit in Singapore, so you can feel 100 per cent confident that your smile is in expert hands.